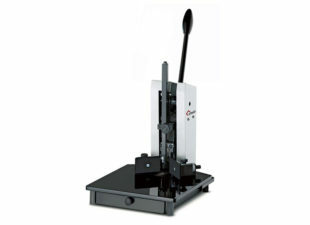 Stago ESM 20 Round Cornering Machines are available in either manual or Power Operated versions. The Stago ESM 20 can be fitted with various sizes of Round Cornering Dies sets, also the Stago ESM 20 can be fitted with a straight Knife. 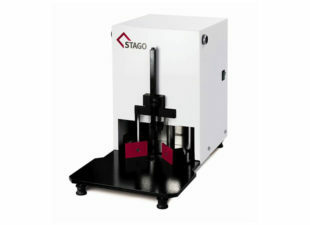 The precise guides and micro adjustment of the Stago ESM 20 machine enables a precise and perfect finish on many materials , paper, leather, plastic and textiles. Made in Germany to an extremely high standard, the Stago ESM 20 and ESM A are the best machines available for corner cutting multiple materials up to 40mm. 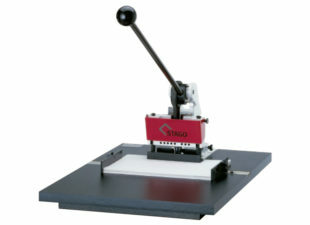 Total PFS are the exclusive UK distributors of Stago edge & corner cutting machines and accessories, call us now for expert advice and guidance for your work.